A range of Lasers supplying power and control for numerous manufacturing applications. Our redENERGY® and redPOWER® Fiber Laser range comprises fused components, meaning the performance is not dependent on the alignment of rods and mirrors, nor can dirt or dust ingress the resonator and deteriorate its properties. For manufacturers using our Lasers, this eliminates the need for time-consuming, routine maintenance. The absence of water-cooled pump chambers negates the risk of leaks that could cause the rods to fail, avoiding service costs. In addition, the use of a doped fiber as the gain medium in Fiber Lasers results in intrinsically stable beam quality, regardless of any heat load, with high brightness, and even in fundamental mode if designed accordingly. Our Fiber Lasers can be supplied with patented Luminator™ fiber-delivery options. These ensure safe and reliable 3D manipulation of the Laser beam and positive material processing results. Our Fiber Laser range includes both rack-mountable and OEM units for your fiber laser system, offering both air and water cooled options, depending on the respective output powers. Drawing on over 40 years’ experience, our range of Fiber Lasers operate 24 hours a day, 7 days a week in the most demanding environments. User-friendly FiberView™ software ensures you get the most from your Laser. At the touch of a button, Laser parameters and pulse shapes can be programmed, processes can be monitored, and data can be captured for analysis. A fast machine interface allows high speed triggering and activation of synchronised events. Communication interfaces include RS232, USB, and Ethernet. As industrial Lasers operate continuously for long periods, high environmental performance is crucial. Our range are designed to operate long term at ambient temperatures up to 40ºC and up to 95% RH humidity (20ºC). All products are certified to European CE and US CDRH safety standards. Whilst an industrial Laser is not regarded as a complete machine on its own, all the necessary capabilities are built-in to allow the machine builder to meet national and international safety standards in a straightforward way. Electrical safety and electromagnetic compatibility standards are also met. Reliability and longevity are also important when considering an industrial Laser for your fiber laser system. All our Lasers are designed with high quality industrial components. We make our own range of patented delivery fibres with inherent back reflection protection, preventing damage to both the fiber and resonator during processing. Finally, our state-of-the-art applications laboratories are available to customers to ensure you find the best Laser and processing parameters to meet your application requirements. Our Lasers use our own proprietary Fibers based on patented GTWave technology, making our products unique and exclusive. Our product portfolio is the result of our extensive experience of the industrial Laser materials processing sector, including long-term relationships with customers. It is based on a strong commitment to Research & Development, and rigorous product development, addressing customers’ business and technology demands. 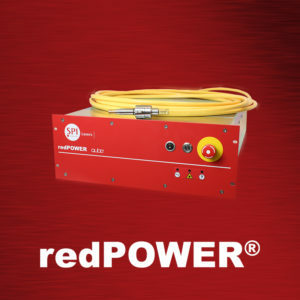 Regardless of whether you choose one of our range of redENERGY® nanosecond Pulsed Lasers or redPOWER® CW Fiber Lasers, you will have the flexibility to control power and modulation rate. In addition, our redENERGY products are even more flexibility by allowing control of both pulse width and shape. When combined with tailored beam delivery and control features, our products become the tool of choice for your industrial Laser applications. All our Fiber Lasers benefit from a number of key product qualities that in turn have a direct impact on the performance of our customers products and organisations. Our Fiber Laser range offer users greater flexibility based on an extended range of performance features. 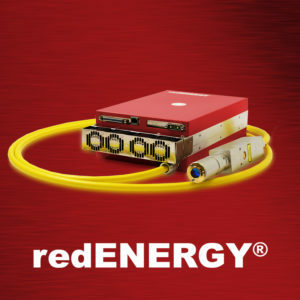 Our redPOWER CW HS Laser models benefit from higher modulation rates and closed loop operations, while redENERGY Pulsed EP Series Laser sources offer the greatest range of pulse width variability from 3-500ns, with up to 1MHz operation, and CW capability. All our products are designed, engineered, and manufactured to be of the highest quality, resulting in excellent levels of reliability. In addition our diverse feature suite allows greater control for enhanced processing results. Our broad product range enables sources to be tailored to specific applications through optimised beam quality by choice of delivery fiber in redPOWER CW Lasers, and M2 in redENERGY Pulsed Lasers. In addition, in our redENERGY Lasers, the optimisation of pulse duration and frequency can often enhance productivity. Whether you are an integrator or end user, our objective is to help our customers be more successful. Our Lasers are compact, easy to integrate, and available at levels of integration to suit customer requirements. 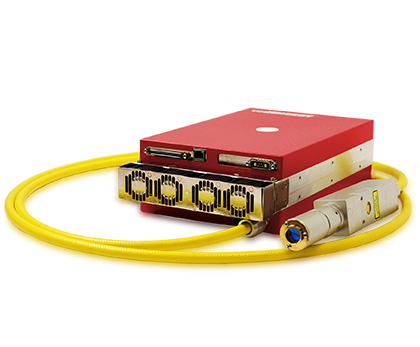 Compared with other solid state Lasers, Fiber Lasers offer greater efficiency and reliability, lower running costs, and virtually no on-going maintenance. In combination with enhanced processing performance, our Lasers can help deliver enhanced profit. 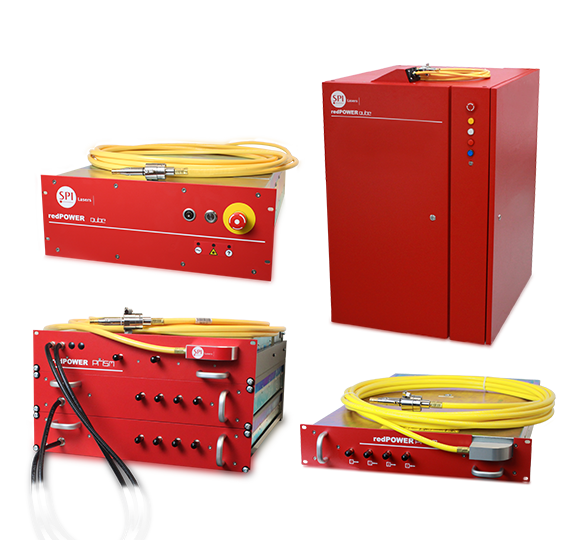 To visit our dedicated Pulsed and CW fiber laser product pages click the images below! Access detailed product information, including specifications and key features.